Thinking about a new pet? If you are considering a new pet the first thing to contemplate is your lifestyle. Will you be home with the dog or cat all day or are you away from home most of the day. In the case of a dog, their “bathroom” needs must be considered as they need to be taken out on a regular basis. It may make more sense to adopt an adult dog rather than a puppy if you will be away more than 4-6 hours at a time. 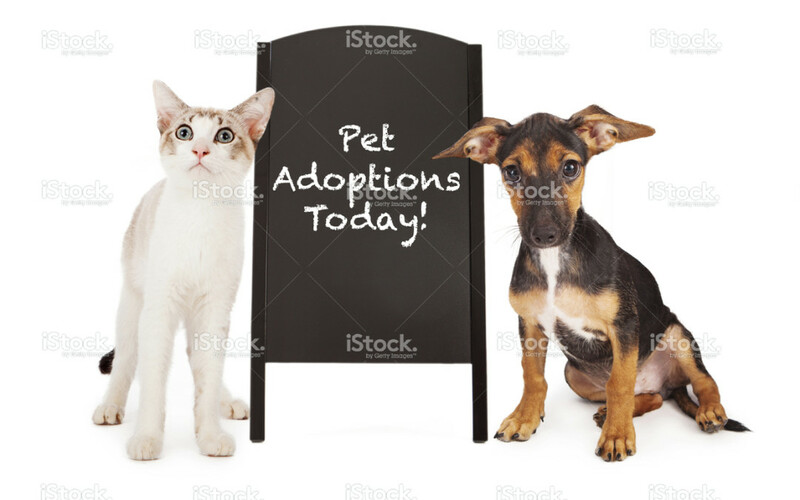 Adoption from a Humane Society, Animal Care and Control or other Rescue Organizations is a wonderful way to bring the joy of a pet into your home and also to save the life of an animal that may have never gotten a home. Many animals end up in these organizations as when the pet was purchased or adopted, the important considerations of taking on such a responsibility were not carefully thought out in advance! If your life is such that you work out of the home or are retired, you will have the time needed to housebreak and obedience train a puppy. Consider the energy level of the breed. For example, a little lap dog such as a maltese may not have the exercise demands of an 80 Labrador Retriever who would be happy playing Frisbee all day long. Different dogs have different temperaments and energy levels. If you have children, you want to be sure that the pet is very friendly and willing to tolerate being touched a lot. Children need to be educated on how to treat a pet kindly and gently and that pets require regular care such as feeding, brushing, and medical needs. Pet ownership brings along with it the major responsibility that you will need to take care of their health and well being. This will mean annual checkups at your veterinarian, vaccinations and dewormings as needed, spaying or neutering at a young age, and medical attention in the case of an emergency. Dogs and cats should be on a monthly heartworm preventative and flea control product. Also, a microchip implant is an excellent way to have a pet returned should it get loose. It is an excellent idea to get pet insurance to help cover some of these expenses. Veterinary care may seem expensive when you are responsible for paying the whole bill vs. a “co-pay” which is what most of us do when we go to our Dr. The cost of veterinary care compared to that of human medical costs is actually a bargain! If you do decide to purchase a purebred puppy or kitten, consider once again, temperament, size the pet will be as an adult, exercise needs, grooming needs, etc. The puppy or kitten should have been examined by a veterinarian and had its first set of vaccinations and deworming. Congenital abnormalities (things they are born with) such as a heart murmur, entropion (rolling in of the eyelids, especially breeds such as the Sharpei and Chow), overbites or underbites, and umbilical and inguinal hernias, to name a few. It is important to have an examination of the pet done by your own veterinarian within the first 24-48 hours of purchase to be sure your new little baby is healthy. The attachment to them happens immediately, and it is best to know ahead of time if there is a serious problem before you get too attached! Be sure the coat is shiny and free of fleas, the eyes are clear and not tearing excessively, there is no coughing, sneezing or nasal discharge, and the pet seems playful and happy. You should receive thorough instructions from the breeder and a copy of all of the vaccines and dewormings the kitten or puppy had thus far. For large breeds of dogs, you may want to inquire if the sire and dam (mom and pop) have had their hips xrayed and certified by the OFA (Orthopedic Foundation for Animals). So no matter if you adopt or purchase a new family member for your household, it is very important to think about everything that goes along with such a responsibility, and this will hopefully be for the next 13-15 years or more! You are your pet’s guardian!